Arogyavardhini bati is a good general tonic. Arogya means "Health" and Arogyavardhini means "Keep health". This medicine uses to maintain normal digestion and to control weight. 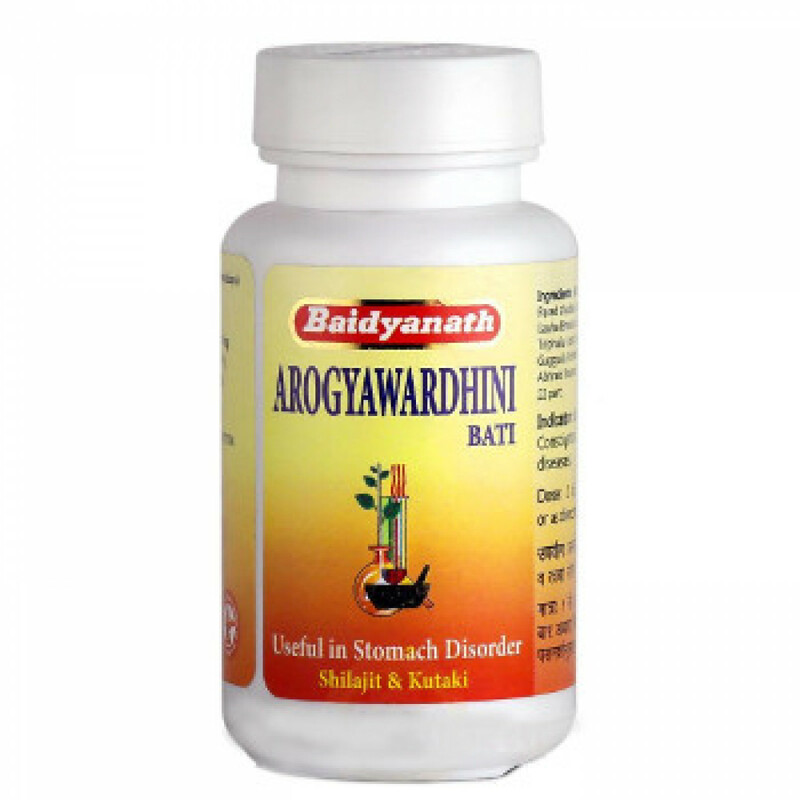 Arogyavardhini bati purifies blood from various waste products, different kinds of food poisoning and alcohol intoxication. Also its a good hepatoprotector with a soft bile-expelling effect. 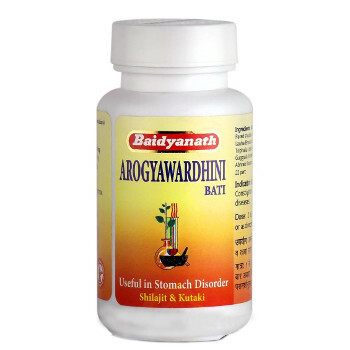 Additionally, Arogyavardhini bati is a cardiac tonic and uses in respiratory (also chronical) disorders. it acts as a catalyst and is added to other medicines as a co-prescription. Indications: low digestion, toxic conditions of blood and liver, indigestion, obesity, jaundice. Content: Shuddha Parada, Shuddha Gandhaka, Loha Bhasma, Abhraka Bhasma, Tamra Bhasma, Triphala, Shilajeet, Guggul, Chitra, Katuki, Neem. Dosage: 1-2 tablets twice a day with water or milk, under guidance of physician. Contra indications: pregnancy, lactation period and in children. Caution! Over-dosage may cause poisonous effect (Arogyavardhini bati contains heavy metals).